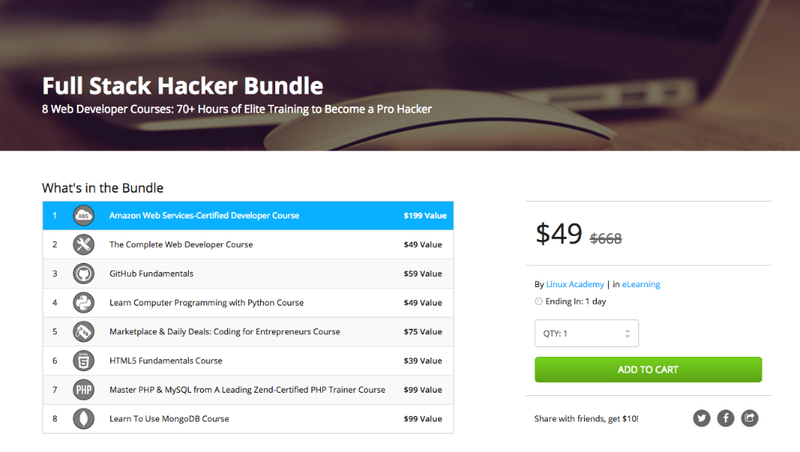 A new developer course bundle deal is available on the DL Deals Store, titled the Full Stack Hacker Bundle. Priced at $49, with a regular price tag of $668, buyers gain access to eight different courses (70+ hours of material), including courses for HTML5, GitHub, Computer Programming with Python, Web Development, and more. While the name of the bundle seems odd, gaining knowledge on GitHub and web development may be very important for a few users out there, especially considering the growth the web industry is seeing. Below, we have listed out the features for the GitHub course, featuring 34 different lectures and 3+ hours of content. Hit up the deal link below if these courses interest you.